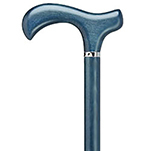 This smooth, thin and ultra-lightweight walking stick will give you great support without weighing you down. 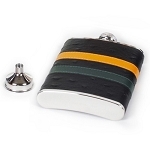 Use it for leisurely walks or difficult hikes. You will find it a joy to walk with. 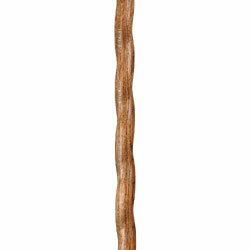 Unlike lifeless metal hiking poles, this hiking stick is crafted from natural wood, the choicest oak, a wood stained with a beautiful finish.. 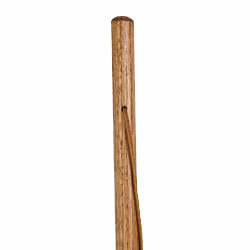 The Brazos signature twist spirals down the shaft, giving it unique character. 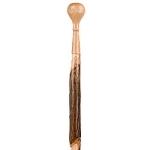 The leather strap at the top of this wood staff helps you get a secure grip. The rubber tip helps you gain more traction. 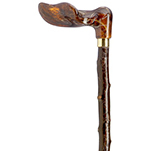 Each walking stick is made in the USA by master woodworkers. Can be easily sized down with a hand saw.